Follow us or Join our Community on Facebook for Updates! Liv is a global lifestyle platform that inspires people to turn their Bucket List into a Liv List, by providing exclusive access to extraordinary life experiences and premium Member-only privileges for living today, not someday. 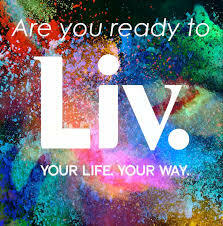 Visit the Liv Community on Facebook! So many great benefits of CBD Oil. Not all CBD OIls are alike. Be sure you are getting the most potent.. Time to relieve the pain and enjoy life. Also available for pets.